Cluttered Victorian Era posters versus art nouveau posters in 20th Century Europe, which contain white space, organization, and the beginnings of corporate identity. While U.S. ad designers strove to stand out, Europeans concentrated on aesthetic quality, which is a dichotomy that still exists today. Salons and galleries were spectator sports in France. While artists remained anonymous in the U.S., certain artists were known for their individual styles in France. 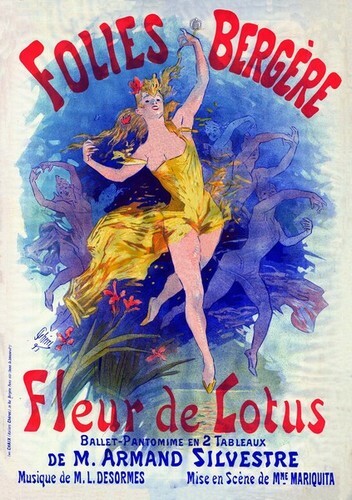 Jules Cheret is considered the father of the modern poster. He, along with other French poster artists, worked large-scale. His posters were eight feet tall. They had more white space, minimal information, and focused on modern life. He created vibrant, dramatic images of glamourous women to sell the latest styles. He along with other French artists such as Lautres, Steinlein, Grasset, and Mucha used abstract art as a communicative tool. This creativity was duplicated in American art with Will Bradley, who ignited art nouveau in America. 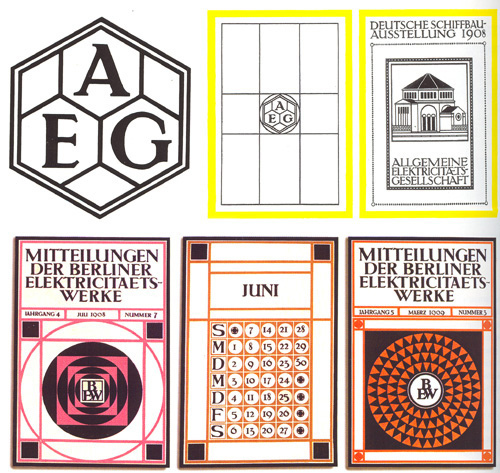 Meanwhile, in Germany, architect Peter Behrens wanted to develop a “visual language.” He utilized sans serif fonts and grids, providing organization and geometry in his pieces in order to create readability and give design a purpose. He is among the first to use design to create corporate identity; he created logos and advertisements that contained similar elements to show they were all connected to the same corporation. Interesting that there is a “father of the modern poster.” Also good to learn about the origins of the corporate identity.